Cantilever Jib Crane a new generation of light lifting equipment is to adapt to the modernization of production and production. Suitable for short distance, frequent use, dense hoisting operation, safe and reliable. It has the characteristics of high efficiency, energy saving, saving time, small area, unique structure, safety, reliability and maintenance, etc. Free operation in three-dimensional space, in the pitch, intensive transportation of occasions, more than other conventional lifting equipment to show its superiority. 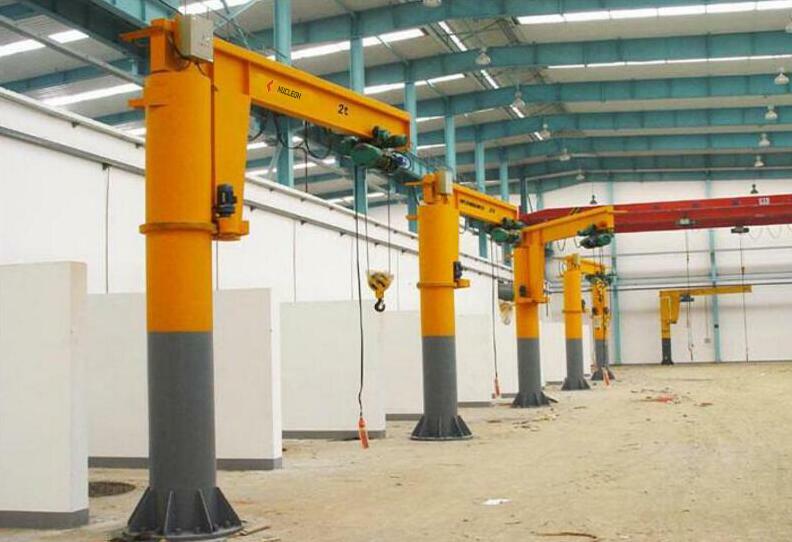 Cantilever Jib Crane more flexible, wide adaptability, etc It is a necessary single emergency hoisting equipment on the high efficiency automatic production line, It can ensure the smooth flow of production line. Cantilever Jib Crane can used for all kinds of occasions and can be used in the structure can not be fixed other delivery tools plant. It is suitable for short distance frequent and dense hoisting operation.